I am familiar with research on label placement to the left or above. I tend to go with right justified with the label to the left of the field for my form designs. However, inline placeholder text is trending and it does further reduce page clutter. Is there any research out there supporting its use? Has anyone conducted usability studies on their forms that they can share? The major problem with inline placeholder text is after filling out a number of fields, it is difficult or sometimes impossible to determine what the original purpose of that field was. Say for example you are filling out a form and decide to change your input, so you clear it out and then somehow you get sidetracked by a phone call of something else. Is there any way that you will ever know what that field was intended for without refreshing the page? 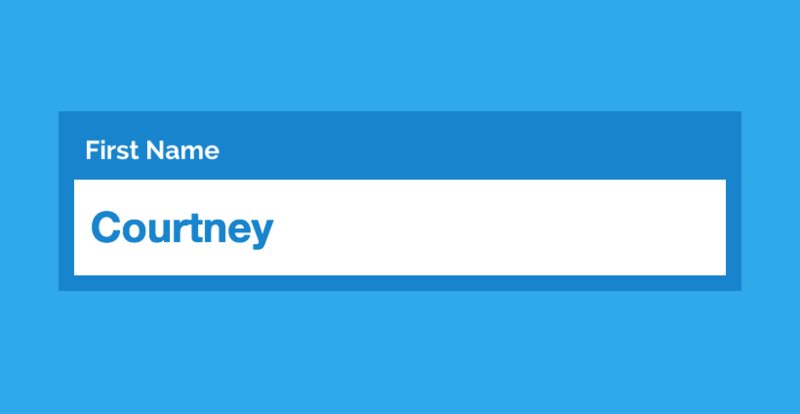 With a right or top(or left) aligned label it is always clear what the goal of a field is. There have been some nice developments to widgets since this question was asked. Designers had to choose between placeholder only, label only, or label + placeholder. Placeholder only is problematic because field meaning is obscured when it is filled in (see other answers). Label only is problematic because (1) the form occupies a lot of vertical or horizontal space, which is problematic for mobile devices visually massive; (2) the label/input/label/input striping contrast can be disruptive to visual flow, especially when the user first arrives at the form and has to process what the fields are. Placeholder + label presents a wall of text to users, which is a lot of cognitive load. By examining the input micro-interaction, designers have realized that there is no reason a placeholder can't also be a label. In many (but not all!) situations, these hybrid widgets can provide the simplifying layout benefits of a placeholder, while retaining the best benefits of a label. Form fields can have both labels and placeholder text. These are two different things. All form fields should have labels. Not all fields need placeholder text. You can also position a label over the field so it looks like placeholder text, but is still an actual label. You can also hide the label and only show placeholder text, but that would be awkward to a screen reader (as it would read both). remember that the label tag and placeholder attribute are designed for different purposes in terms of content and accessibility. Placeholders are not a substitution for labels. placeholder attribute used instead of the label tag. If the placeholder text is acting as a label for the field, then that should be an actual label tag. Placeholders that pointlessly repeat the label. 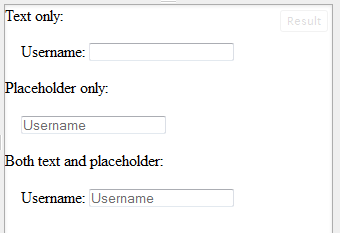 A common one I run into is, say, a field labelled "Name" and the placeholder text stating "Enter your name". If the person is going to use the form often, then you can train them what each field is. Muscle memory takes over and they stop reading the labels; internal or external. This is the rationale for gMail using placeholders. People use gMail every day and overcome the learning curve of placeholders. If a user only sees the form once, then it's imperative that the form utilize the user's a priori knowledge of how forms on the web behave. There are very few use cases where the aesthetic improvement outweighs the usability detriment. Labels inside or outside text inputs? Labelling inputs in HTML: <p>, placeholder or both? How can I skip showing labels above inputs in an html form and only use placeholders in a clear manner? Is it “unsafe” to rely only on placeholders (input fields)? Why shouldn't you rely on form placeholders alone? Is it ok to have both a placholder and a title on an input tag? 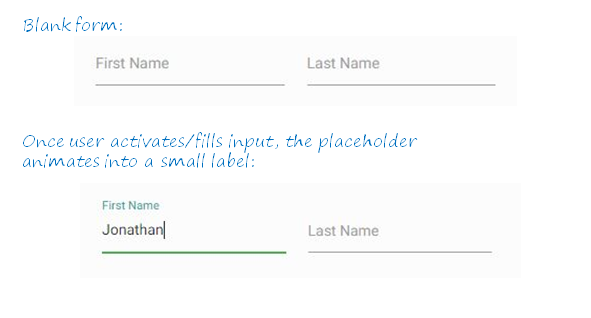 What's an alternative to placeholder text in forms?